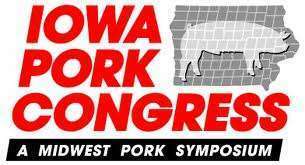 Several local residents received honors at the Iowa Pork Congress banquet in Des Moines Wednesday night. Nine producers from across the state were named Master Pork Producers, including Gene Tinker of Manchester, Ryan Kress of Winthrop and Dominic and Karen Hogan of Monticello. Dr. Josh Bowden of Winthrop was named a Master Pork Partner (someone who supports hog farmers). And the new Iowa Pork Youth Leadership Team was also announced. Gracie Steiner of Washington County was crowned the 2019 Iowa Pork Queen, with Carli Grau of Newell and Isaac Wiley of Walker named the Iowa Pork Youth Ambassadors. All three each receive a four-thousand dollar scholarship.